California physicist close to solar breakthrough | West Coast Solar, Inc.
Harry Atwater is a physicist at the California Institute of Technology (CIT) with a specialty in applied physics and alternative energy sources, specifically solar power. 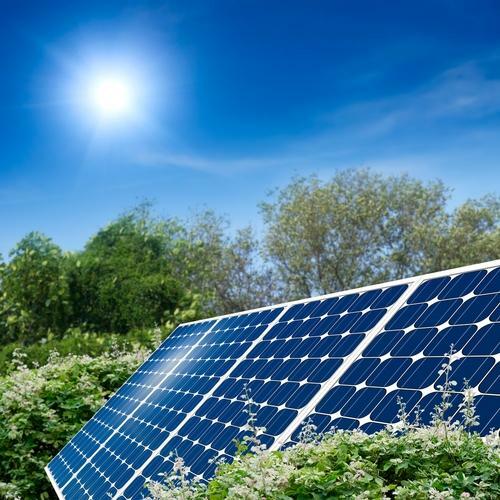 Currently, he and his team of CIT researchers and engineers are working to develop a solar cell that can convert a whopping 50 percent of solar light into useable energy, according to Discovery News. For a little perspective, the sun emits over 1,000 watts of energy per square yard to the earth’s surface each day. To power the entire world, we’d need just a fraction of that wattage. Even so, today’s solar panels are capable of storing only up to 20 percent of that potential power, according to the source. The technology to make cells that capture up to 50 percent of solar emissions is presently possible, however the cost of the materials needed as well as the manufacturing make it prohibitive. Atwater’s project is focused on using conventional, readily available materials to this same effect. The end result would be a higher-performing cell that can be competitively priced compared to modern, less-efficient models. If the Atwater Research Group is successful, it will be a game changer for the solar industry. Not only will this clean form of alternative energy become affordable on a wider scale, but it is also renewable, meaning that we need not fear shortages or undue inflation. With solar poised to go global in the coming years, there’s never been a better time to convert to this clean and efficient form of energy. If you’re interested in learning more about how you can integrate this technology into your home – while saving time and safeguarding your family’s health – visit westcoastsolar.com or call 925.516.3900 today.